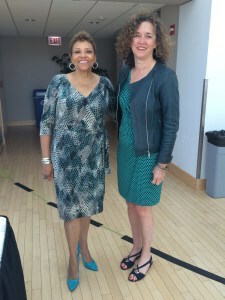 Belmont’s Director of Community Relations Joyce Searcy and doctoral intern Barbara Bell recently presented at the International Town and Gown Association in Chicago. The team’s presentation, “Belmont University’s Supplier Diversity Pilot Program: Developing Capacity and Commitment in Nashville,” gave an overview of the university’s newly launched Supplier Diversity Program. An initiative of Belmont’s Welcome Home Team, the program encourages departments across campus to conduct business with minority suppliers.